DESCRIPTION: Bed bugs are sometimes called “red coats,” “chinches,” or “mahogany flats.” The adult bed bug is a wingless insect that is flattened from top to bottom. HABITAT: At the beginning of an infestation, bed bugs are likely to be found only in the tufts, seams, and folds of mattresses and bed covers. 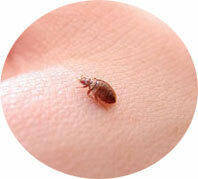 In areas of heavy infestation, bed bugs can be found in crevices in the bedsteads. Because bed bugs can live in bird nests, houses and buildings with several bird nests in the eaves and on the roof often will have bed bugs coming into the living areas. LIFE CYCLE: The life cycle stages of a bed bug are egg, nymph, and adult. 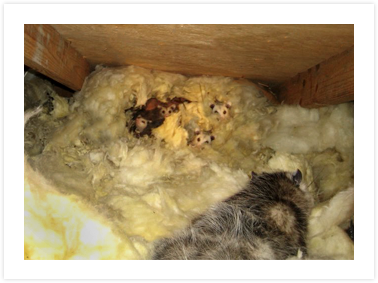 The females lay about 200 eggs, usually at the rate of three or four a day, in cracks and crevices in the floor or bed. Newly hatched bugs begin feeding immediately. They shed their skin five times before becoming adults. TYPE OF DAMAGE: They feed principally on human blood by piercing the skin with a long beak and sucking blood into their stomachs. They feed mostly at night, but will feed during the day if hungry and the light is dim. CONTROL: In private homes, find all the areas that bed bugs hide in during the day time. These must be treated with chemicals. In hotels, apartments, and other multiple-type dwelling places, bed bugs may spread from one unit to another. All units should be inspected. Remove bird nests. INTERESTING FACTS: Usually discovered in unsuspected areas such as in floor cracks, under carpets, behind loose wallpaper or wall pictures, bed frames and headboards.